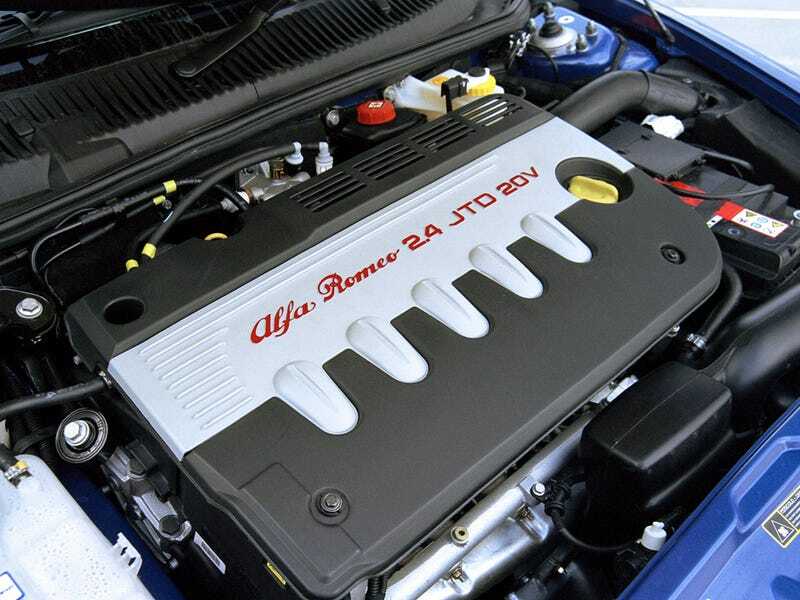 ...I've been rocking my dad's Alfa 156 SW with one of these :) Alfa I5 Turbodiesel. First diesel I've driven on the road and I can see why people like them. Effortless acceleration up to normal driving speeds. However, as with all TD engines in stock format it falls a little flat as the revs climb. A remap would sort that out very nicely though (my friend's Peugeot 406 Coupe TD pulls cleanly to redline making power all the way). However, by far and away the best thing about it is the hint of 5-cylinder warble. If you push it past 2500rpm you get an echo of Audi Quattro rally car. It's a diesel with character!